During this past off-season, the Los Angeles Lakers opened their brand new world-class training center in El Segundo, California, which not only serves as the Lakers practice facility but is also home to the NBA G League South Bay Lakers. The UCLA Health Training Center was designed to optimize the Lakers performance, and to give them full access to world-class technology, including NormaTec Recovery Systems. "We are excited about the work and progress we've made training in the UCLA Heath Training Center," Marco Nunez, Head Athletic Trainer for the Los Angeles Lakers, said. "We are invested in making sure that our players have the absolute finest and most cutting-edge technology at their fingertips, such as NormaTec, which is a system our players use frequently. Proper recovery by our athletes is essential to our success, and the NormaTec PULSE PRO is second to none for rapid recovery." NormaTec's recovery systems rejuvenate muscle tissue and speed up the recovery process, helping athletes to rehab from pain and soreness, improve flexibility, and increase the pressure to pain threshold. The systems use a patented compression technology to mobilize fluid and massage the limbs, enhancing circulation and flushing out lactate. See the video for more on how the Lakers are using NormaTec's technology at their new facility. 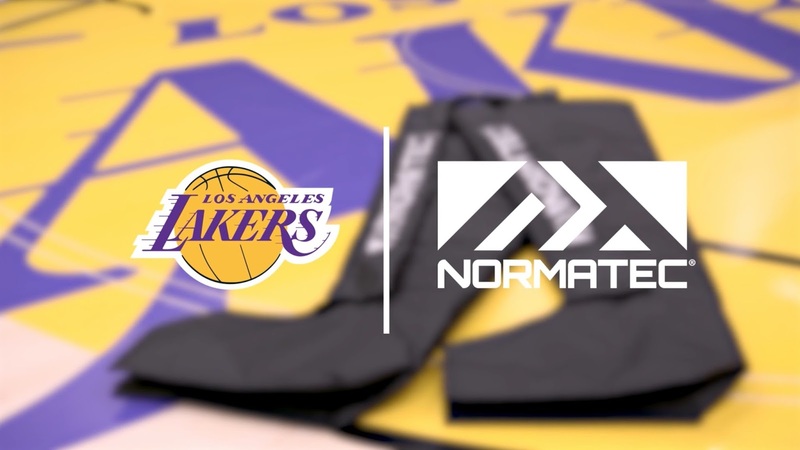 "We are huge fans of the Lakers and it is an honor to know that they are utilizing NormaTec's technology so extensively," Gilad Jacobs, CEO of NormaTec, said. "The UCLA Health Training Center is ultramodern and really gives them a huge advantage throughout the season." The Lakers are incorporating NormaTec PULSE PROs into their training regimen as part of an increased emphasis on athlete recovery. NormaTec is currently used by 97% of professional teams and many elite athletes. The Lakers will utilize NormaTec's recovery systems before and after games and practices at the UCLA Health Training Center, and will also have systems to travel with. NormaTec Recovery Systems are cutting edge compression systems that enhance the body's natural ability to recover. Using NormaTec's full-length leg compression boots, arms and hips before or after intense workouts rejuvenates muscle tissue and dramatically reduces tightness and soreness. Invented by an MD, PhD and perfected by professional athletes, NormaTec recovery systems are the go-to equipment for the world's best. For more information, visit NormaTecRecovery.com.